Desperately Seeking Adventure: 6 Months in Beijing, China! 6 Months in Beijing, China! Getting back to China took some going, it was something that I had to do. Leaving Wuhan was a bitter pill to swallow but Beijing had the make-up to paint my next chapter in China. Taking off to new heights with Emirates I was fronted with a new adventure, I was ready and very prepared! But all in all I felt a sense of home back in the Middle Kingdom. Beijing, let's get it! Packed and ready to fly, I had already been through a mountain of visa turmoil but booking my ticket with Emirates afforded me a pleasurable flight from Brummie to Beijing, China. Watching my Chinese film, eating my good food and chilling with the crew had to be done! My crew were fantastic, it wasn't feeling real that I was going back to China, I had a mission to be a lead teacher and I wasn't going to let anything get in my way! Gliding into Dubai International Airport I kept my p's and q's in place, boarding the second flight felt like a mirror image to my Shanghai-Moscow flight, those similarities challenged my intentions to return to China, of course I was certain! Meeting my prospective Chinese principal, I was welcomed into Beijing, China to a warm welcome considering the customs didn't like me, I paid no mind, crossing the border safely I was on my way to my next chapter at my early years employer! No more Wuhan! The jet lag wasn't pleasant, I wasn't impressed by the haphazard construction around the hotel that I was staying in but it was the one. Getting property things sorted quite quick, I braved the Beijing Subway, that underground system fooled me something rotten the first time. Judging its quietness I wasn't going to have any luck when each train was full to the brim during my moving day with my huge suitcase. 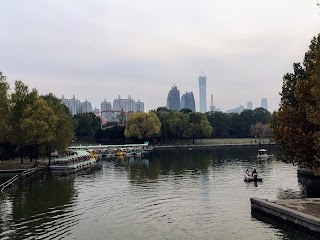 Bank dramas came into my life but my first few days in Beijing were cool, meeting new prospects and seeing Chaoyang Park and its offerings I was more than impressed. I had only seen Shunyi from Google Maps, it was something I was going to get used to! This time around it wasn't going to be plain sailing, Wuhan hadn't been a kettle of fish so I was getting ready for the craze! I was within the 'money compound' ready to start the next chapter of my adventure with a certain international kindergarten. By money I mean these people had money, it was absolutely insane! Settled into Beijing life I managed to see the National Stadium and it's surrounding Olympic venues. I did not have grand plans to see Beijing in a hurry, this city is for the long time so I didn't have that stress. I embraced my work life, it didn't bother me that I only saw Beijing's Muslim Street and a few other places in the city. Christmas 2017 was strange, it really didn't feel right to be working as my winter holiday had to wait for December 2018. I will be making up for it in 2018! It was definitely time to get out of Beijing for the first time, 2018 first weekend saw me take the train to Tianjin to see what was good. 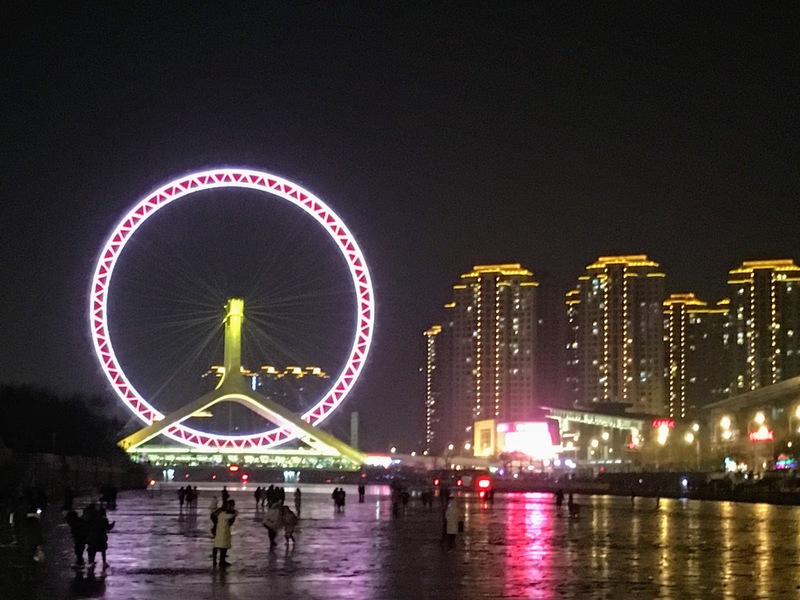 I enjoyed the colonial streets and the Tianjin Eye much, it was nice to breathe for one weekend and to discover another city in China. 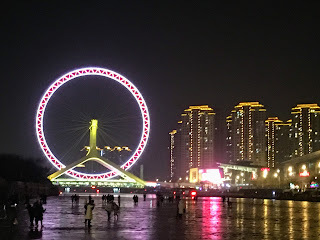 Tianjin was a pint-sized Municipality offering me a boozy night out and some interesting sights, the cold was intense though! Work was crazy but its not professional to reveal things. Back to work in the January I saw small parts of Beijing because I was super chilled about seeing things, I had throwback and new concept blogs on the go, it wasn't going to be an issue. My new apartment was amazing and of course it still is, now I have a home rather than a place that is for a few months. Shunyi and my community might be a contrast compared to Guanggu, it's the next level and I can't lie the quiet is welcomed. OK, no more nursery it was into the Casa for some introduction to my new students, I wasn't prepared for the craziness that would greet me! Montessori came into my life, it was something that I wanted from Wuhan and in Beijing it became possible very quickly. The class was mad to start with but I made it work somehow, somethings went the way they because I wasn't going to be weak, it was time to fight! Yes, we ready! In a way I was loving it, it was something that I wanted, getting those goals without any regrets it wasn't any mid city craze! Spring Festival came round for the best, I flew away to Shenzhen to spend a week along South East China's coast because I could! Revisiting Shenzhen allowed me to see a city that I briefly passed through during my trip to Hong Kong. Seeing the difference between those two borders was extraordinary, it posed to be a whole load of drama but Xiamen's beauty beat me down, it was worth the madness! Shenzhen's first serving was interesting, it was something to deal with because I wasn't going to let anything get in my way! Being refused entry over one border to Hong Kong, that was real fun but my Dim Sim breakfast was fantastic! Looking at the border point I crossed gave me some serious memories, it felt very real! Shenzhen had something to show me, it felt right to return after my fractious border crossing into Hong Kong. Getting it together it felt right to be close to the borderline. Returning to Shenzhen City was the one! Taking the high speed train from Shenzhen North Railway Station to Xiamen, I was fronted by a sea of people! Xiamen gave me drama but I enjoyed seeing all it had to offer even though I couldn't get a ticket to Gulangyu Island on the ferry. I wasn't overwhelmed by the crowds because I have a way to deal with those chaotic situations, life in China second time didn't faze me, well only sometimes! But 2019's Spring Festival might have to be outside of Mainland China, I am thinking about the possibility of Taiwan? 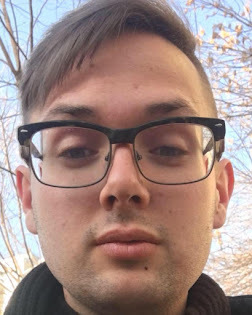 The last six months seem to have flown, flying in during the winter its now nearing the summer months, the beginning of the spring semester turned the heat up, I was ready for whatever was going to come my way! Beijing life has been a series of highs and lows and I haven't really been out in the city during the day that much it's still going to happen, I don't want to see everything too quickly. Life was about to change once again, Beijing definitely keeps me on my toes! Yes, B! When work got crazy I looked forward to the next holiday weekend, the next break after Spring Festival saw me taking the night train from Beijing to Changchun, I had given this northeastern city the cold shoulder during 2017s Spring Festival week so I wanted to make up for it. I lived for Changchun's Japanese history even if it was quite dark in places, but I got my KIA on at Mr. Panda Club! April had me on the move again, taking another night train but to Suzhou, I was meeting a friend who would accompany me for the trip. Revisiting Suzhou gave me the chance to see how much the city had developed since my 2015 training week. Discovering new things such as; Shantang Street, the Lingering Garden and Hanshan Temple felt amazing because I didn't have the chance to see those places first time back in June 2015. Yes, I still have Datong in June! Let's just say something sweet has come back into my life, life will remain in Beijing for the course but wider horizons are meant for the future. May so far has practically been about work and Montessori training, I am leading my own class and that has brought up some challenges but all in all it is amazing to say that I have worked for all that I have got in the here and now. I honestly never thought that I would have all this by the first six months, its something that I know I still need to work hard to maintain! On the travel side of things this first six months has afforded me to see six cities with five of those places outside of Beijing, I have Datong to go in June and flights booked to travel home in August so it's going to be busy! Here's to surviving the first six months and to doing even better in the next six months! Beijing, I promise I'll ditch the booze and make an effort this next half year to see more of your cityscape because Destination isn't enough! Oh, those Destination blue drinks! 2018-2019: This Departure Lounge of Dreams! May 2017: My Tibetan Adventure!